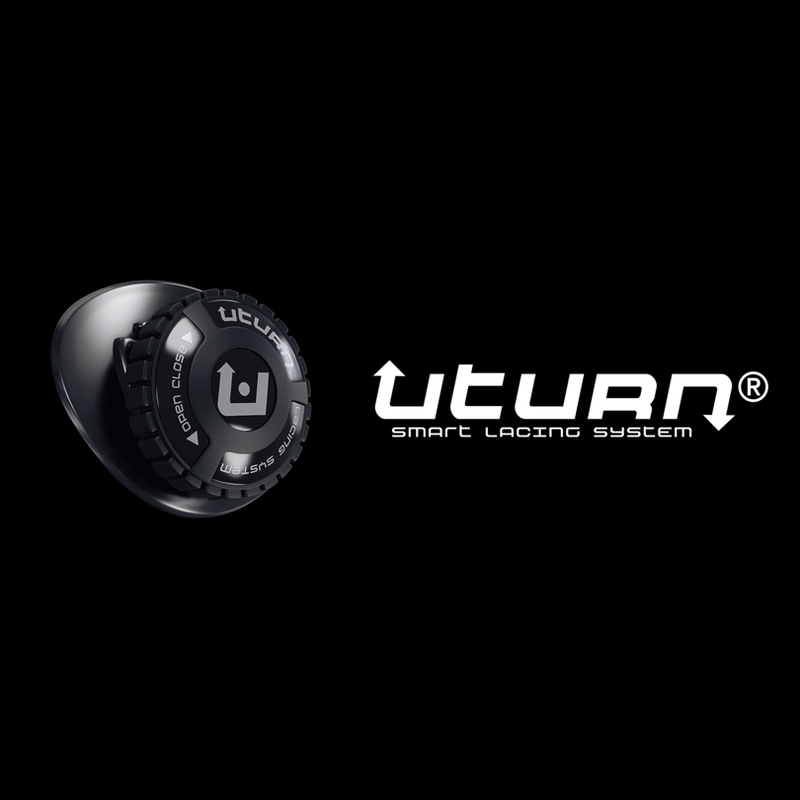 ORIGINAL UTURN® is a patented device for fastening shoes – a great alternative to traditional shoelaces. This shoe lacing system can be applicable to footwear as well as clothes and bags. It is easy to set up, really convenient and extremely durable. This invention was created to make your life easier. A lot of people, especially young children, seniors, athletes and blue-collar workers complain about their problems with shoelaces. Choosing laces in accordance with the size of shoes doesn’t prevent situations where shoelaces untie or become loose. That can be uncomfortable and frustrating not only during intense sport activities, but also casual use. Our closure system provides easier and quicker 2-step rotation control than previous 3-step push&pull inventions. Combination of an ultra-light reel element, simplifying parts, carefully designed ratchet gear, durable rotating cover and steel wire ensures total operational reliability.